Oreo is making waves in the candy aisle with the release of a new Milka Oreo Big Crunch candy bar. After making its rounds in Europe earlier on in the year, the hybrid candy is now ready for its state-side debut. 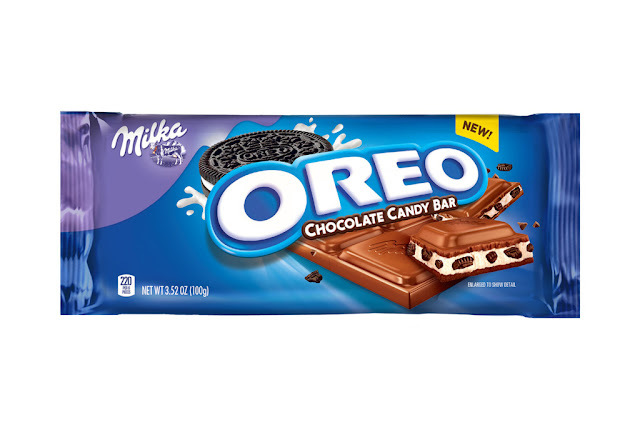 The new candy is a combination of Oreo cookie pieces and vanilla cream filling encased in Milka European chocolate candy, while the alternate Big Crunch Bar incorporates Oreo cookies inside of the German chocolate. The bars will hit shelves at Wal-Mart, Kroger, ShopRite and Albertson’s this week, and will roll-out nationwide in January 2017. It’s up to you whether you want to dip them in milk.